Here's a great all occasion gift for anybody on your gift list. These beautiful custom key chains are made from solid rosewood and can be engraved with text or images. Includes bright metal link chain and split ring key ring. Makes a great party favor or promotional item. The key chains measure 2-1/8" x 1-1/8" x 1/4". The laser cuts sharply into the wood in your choice of six different fonts we know engrave well or we can use custom images. The laser cuts images clean, very sharp and high resolution; it is not an understatement to say that the pictures shown here really do not do the final engraved product justice. Great bridesmaid and groomsman gift or business promotional product. The standard* engraving area on the keychain is 2" x 1". 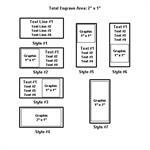 We have several standard layouts to choose from. You just select the layout, the fonts of your choice from drop down menus in the shopping cart then type in your text into the text boxes on the page; for custom items you just need to email us your artwork (click here for instructions). 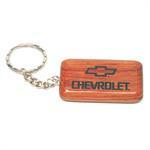 High Quality - these custom key chains are made from solid rosewood wood with a light clear coat finish. Laser engraving produces a rich brown color with excellent image contrast and clarity. Flexible message - Just select your text fonts using a drop down menu in the shopping cart, select a layout style, type your message text into the shopping cart text boxes and we'll do the rest. 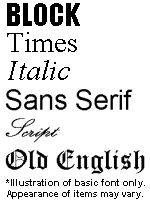 We normally engrave the first line of text larger for emphasis and you can have up to three additional lines of text. 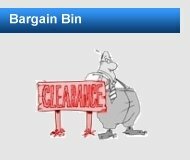 Quantity Discounts - unlike many stores which have minimum orders sizes of 10 or even 100 or more key chains, we will do single key chains and if you order multiple key chains with the same engraving at the same time your cost goes down. 100% American Engraved - all key chains are 100% engraved in Vancouver, Washington USA. Delivery to meet your schedule - Standard production for orders of up to 25 keychains is normally 3 to 7 working days from receipt of your order except for the holiday season from November 15 through December 31 when standard production goes up to 10 working days to accommodate our surge of holiday orders. NOTE: For orders larger than 25 pieces please give us a call. Production times represent production time from our receipt of order to shipment; they DO NOT include shipping time in transit. Make the key chain into more than just an identification item. Our laser engraving makes it easy for you to customize key chains into something that the recipients will use and remember for years. 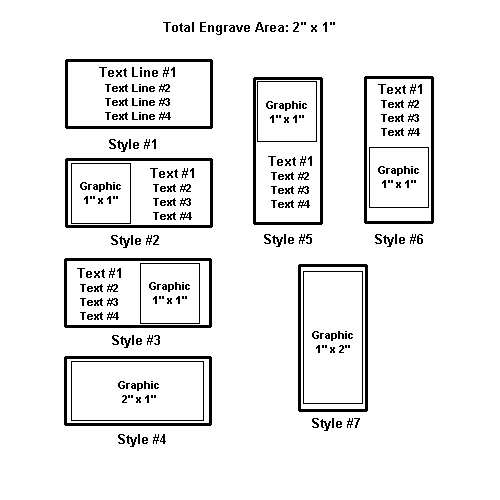 *PLEASE NOTE: The standard engraving options shown here are but a small fraction of the engraving we can perform with our state of the art laser engraving systems. 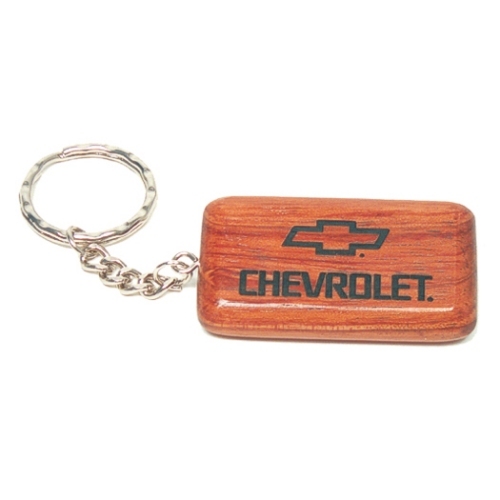 Key chains can be an excellent promotional product and we can engrave logos, names, messages, etc. 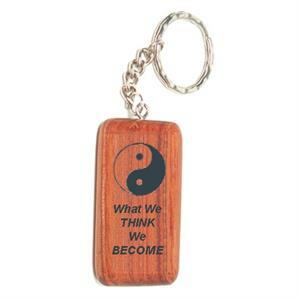 on one or both sides of each key chain. If you want to fully customize your key chains please contact us for details and a quotation.